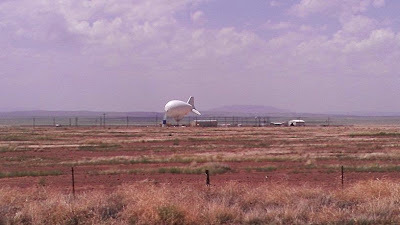 On our very first trip through southwest Texas during daylight ( http://en.wikipedia.org/wiki/File:US_90_(TX)_map.svg ), we saw an enormous dirigible-shaped object in the sky just west of Marfa. 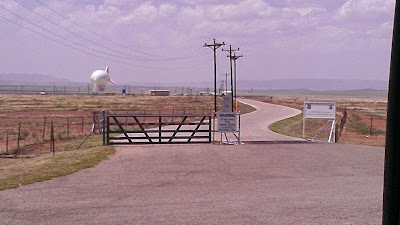 We saw it MILES away, and wondered wtf it might be. We're in the desert, miles from people of any sort, let alone civilization. What in hell is that?? 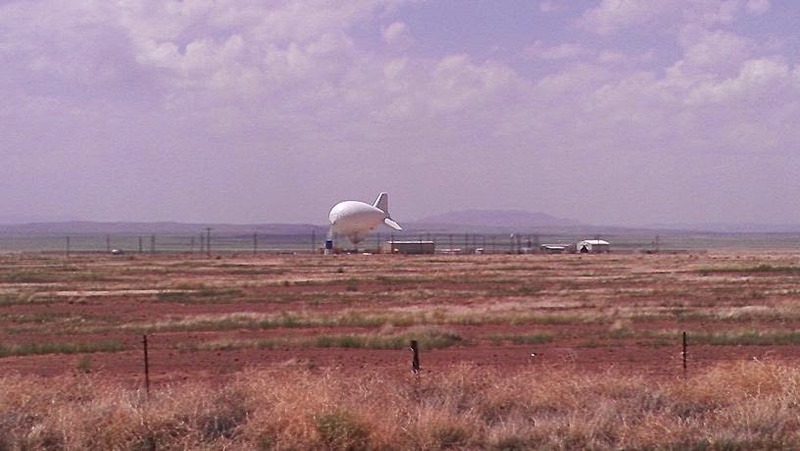 Turns out, it was TARS ( http://en.wikipedia.org/wiki/Tethered_Aerostat_Radar_System ). I'm not completely invested in the innocent radar coverup excuse, but I'll take it for now. 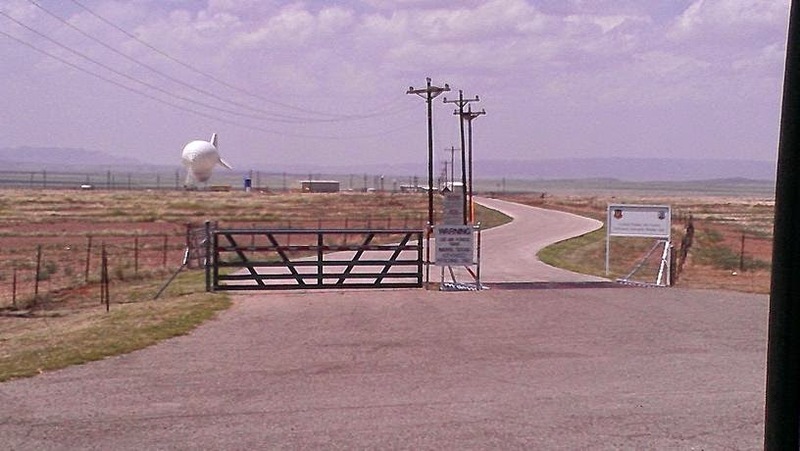 We still get a kick seeing the balloon from 20 miles out.